Over my years of image coaching I have kept returning to the teaching I received from Robert Fritz, and have found this immensely useful, both when structuring my own business, and to utilise when coaching my clients. What I found so valuable in Robert’s teaching was the idea of our lives as a creating process. Now before you go thinking that this is a nice idea with no practical grounding, think again about what really goes into creative processes. Art, literature, music, architecture, and business – all are created with vision, purpose, and reliance on an underpinning structure. A building will collapse if it has been poorly planned and lacks structural integrity. Whilst music with no rhythm (even the most experimental jazz) is just noise. Living a creative life does not mean abandoning practicality. Conversely, when we focus too much on practicality (when we are caught in the rat race of corporate culture, practicality linked to productivity tends to be revered and worshipped) and we lose sight not only of creativity, but also the act of “creating”, then we struggle to create anything at all. If we abandon creativity as frivolous, then the architect designs an ugly, grey box of a building, and the composer never bothers to create music at all. I’ve worked with many creatives over the years (visual artists, authors, and others) and I’ve also worked with sportspeople, entrepreneurs, and bankers. What I’ve found is that these very different people and personalities all benefit from treating their lives and careers as creating projects. 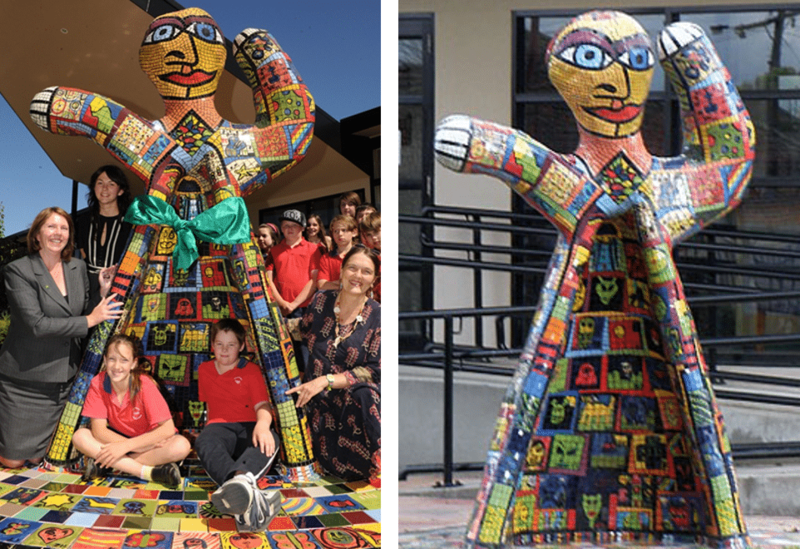 In 2009, Deborah Halpern worked with the school community of Urquhart Park Primary School in Ballarat, Victoria to create a large community art piece to reside at the school. As human beings we have an innate desire to practice creativity, and stifling our creative power is one of the surest paths to failure. Choosing a creating life is a matter of free will – and it doesn’t have to cost you a cent. In my work I see many clients who would never describe themselves as creative, and this holds them back from seeing all that they can achieve through creating. When we create, we cause something to come into being, through intention and design. This is exactly what every successful person living a fulfilling life does every single day – they create! On the other hand there are many talented and creative people out there who fail to find success. Why? Because despite all their creative talents, they are not pouring their efforts into creating the life of their dreams. When working with my clients we focus on the “Big 3” – the most common responses to problems – avoidance, overpowering, or creating. The first response, avoidance, is pretty straightforward. You have a disagreement with your partner, and in order to cope you simply ignore it. You avoid the issue. Sound familiar to anyone? The second response, overpowering, is also sadly common. If you are having trouble with a project, or even a colleague, at work, your instinctive response is to go into micro-manager mode. In an attempt to motivate yourself, and overcome the obstacle, you use force. The third, and the most powerful, way to deal with an issue is through creating. Instead of giving up or beating down, you seek a creative solution. In seeking that creative solution you make something new, you seek to understand, to nurture, and to grow. When your response to an issue is creative, you demonstrate love, and contribute something of worth. 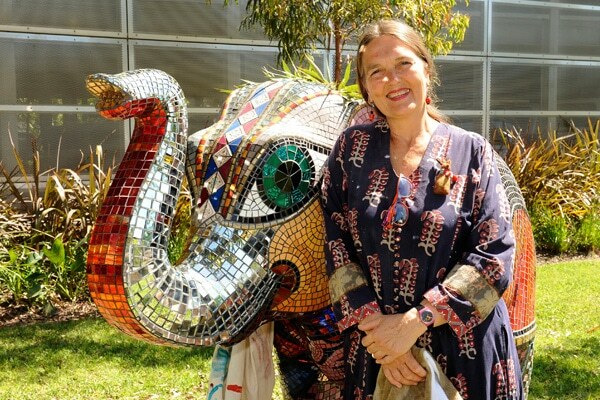 Deborah Halpern’s 2012 ‘Mali’ sculpture which was commissioned by the City of Melbourne to commemorate the 150-year Celebrations of Melbourne Zoo. It is natural and healthy for us to practice creativity. When we aren’t creating we become bored. This doesn’t mean you aren’t busy – we all know that you can have a hectic work life, and yet find that work boring and tedious. When we are bored though, or suffering from a sense of purposelessness, our next step is to seek distraction. And we tend to distract ourselves with destructive behaviours. All because we don’t indulge our natural creative bent. All because we have swallowed the lie that creativity is an indulgence, a distraction from our “serious” work. We are most alive when living a life of creativity. Creativity demands a willingness to understand, it requires vision. Through creativity we become nurturers (of ourselves and others) and that nurturing produces growth. 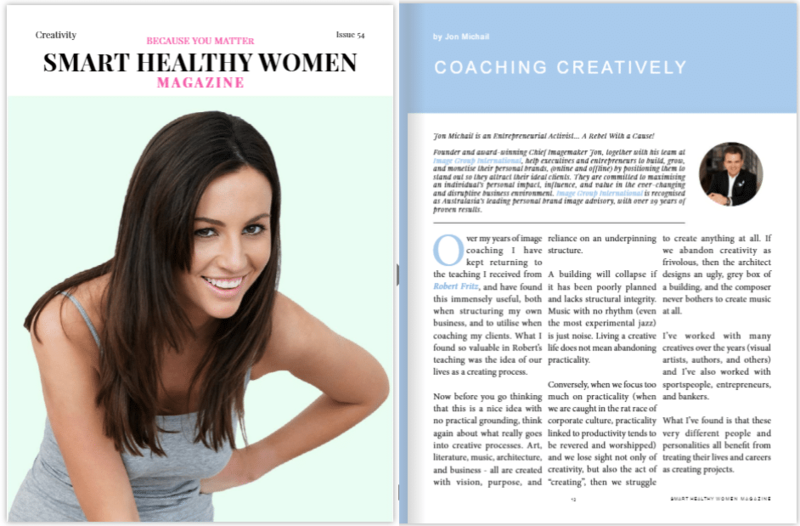 This article originally appeared in Smart Healthy Women’s Creativity Issue. 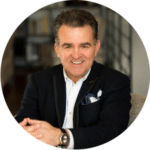 Jon Michail, Founder and award-winning Chief Imagemaker together with his team at Image Group International helps executives and entrepreneurs to build, grow, and monetise their personal brands, (online and offline) by positioning them to stand out so they attract their ideal clients. They are committed to maximising an individual’s personal impact, influence, and value in the ever-changing and disruptive business environment. Image Group International is recognised as Australasia’s leading personal brand image advisory, with over 29 years of proven results. Did you enjoy this article? Keep reading! How entrepreneurs can learn from creatives. How coaches can use personal branding to create value and a lasting legacy.